A recent study funded by the Johns Hopkins Center for a Livable Future reveals some interesting findings regarding the current state of aquaponics. Aquaponics seems to still have a male bias. 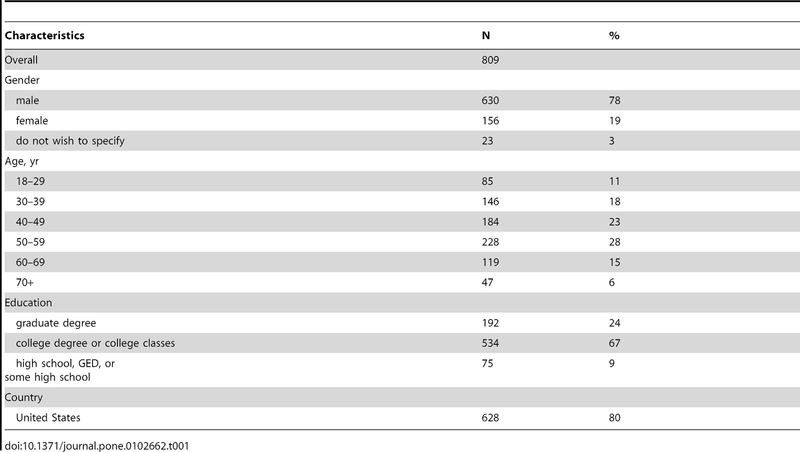 The respondents were weighted heavily towards males with university or higher level education. It is still new. Nearly 9 in 10 respondents had less than 5 years experience. On the plant side of things, the media bed is the most dominant hydroponic component (86%) followed by deep water culture (46%), then nutrient film technique (16%), and then vertical towers (17%). The most frequent hybrids were composed of media bed and deep water culture. 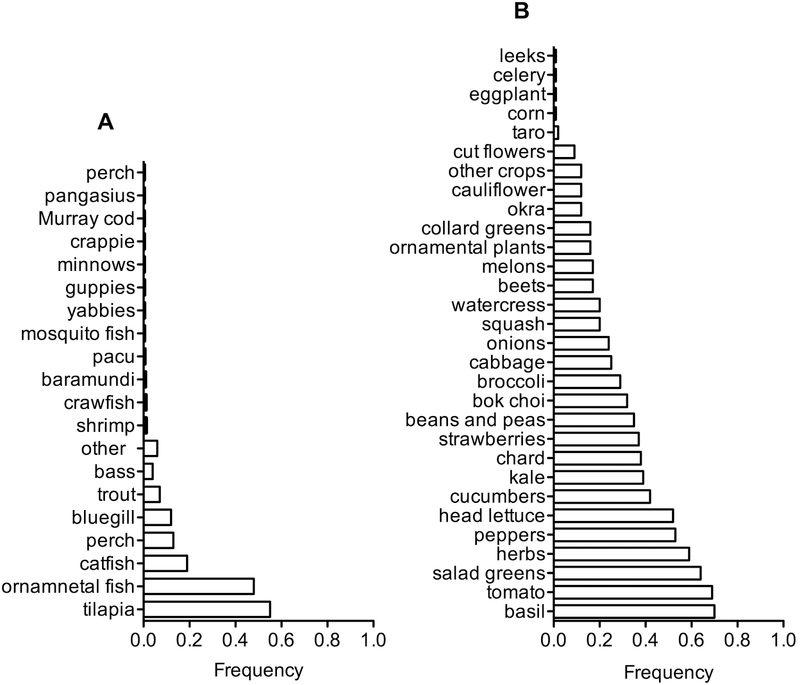 The most common fish used are as expected Tilapia, followed by ornamentals, catfish, perch and bluegill. The most common plants grown are in order: basil, tomato, salad greens, herbs and peppers. People are confident in their ability to adjust pH and fix plumbing. They are less confident in their ability to diagnose fish decease or plant nutrient deficiency and they were least knowledgeable about regulations. 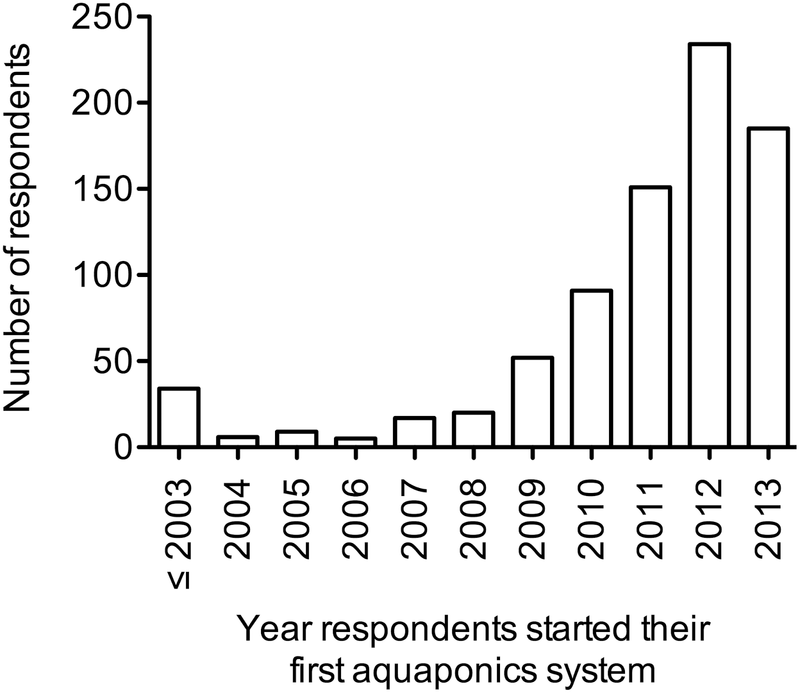 The most common drivers for doing aquaponics seem to be health, environment, and education. 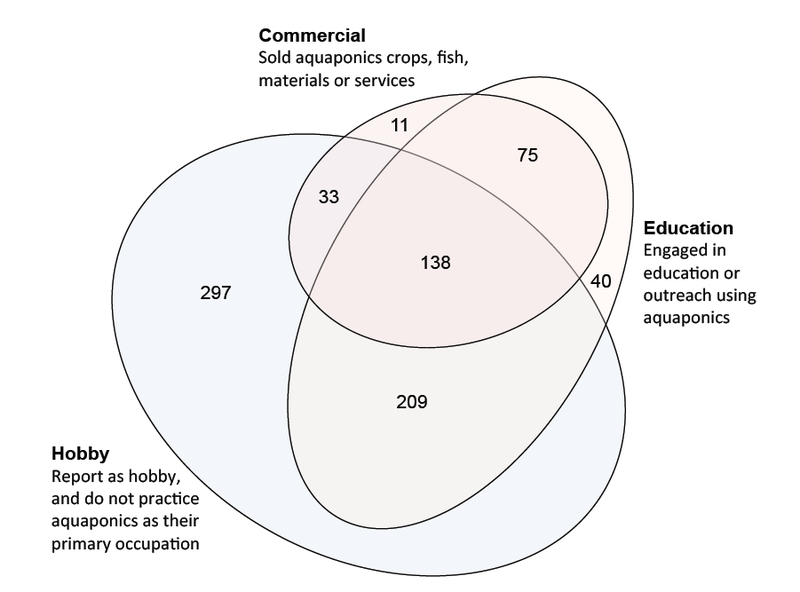 The respondents had systems that were hobby, educational, and/or commercial as shown in the following diagram.